“Mama, I’m not popular,” my 10-year-old announces to me quite matter of fact. “Me, too” I said, suppressing a laugh, and letting her be a little girl for a little longer. 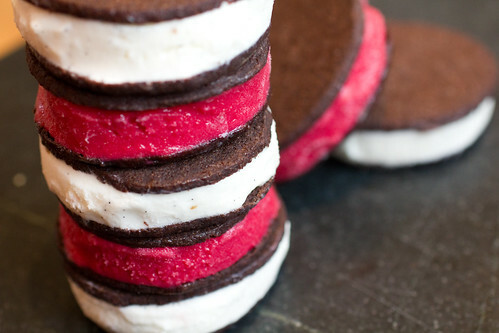 Homemade chocolate wafers for ice cream sandwiches. Always requested for her birthday. “Hot lamb!” they’re good. And they’re popular, but in a good way. Just like my daughter. Nabisco’s famous chocolate wafers, move over – there’s a new chocolate wafer in town! Somehow, due to Medrich’s magic, these remain tender when frozen and don’t turn teeth-shatteringly hard – unlike drop cookies. They also stay crisp and don’t get soggy – unlike the store bought rectangular ones. 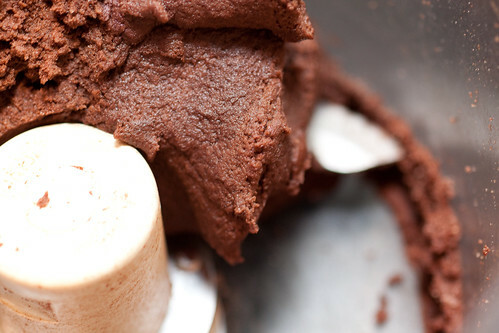 In short, they’re chocolate wafer perfection. In a food processor, combine the flour, cocoa, sugar, salt, and baking soda and pulse several times to mix thoroughly. Add the chunks of butter. Pulse several times. Combine the milk and vanilla in a small cup. With the processor running, add the milk mixture and continue to process until the mixture clumps around the blade. Remove the dough from the food processor and knead a few times to make sure it is evenly blended. 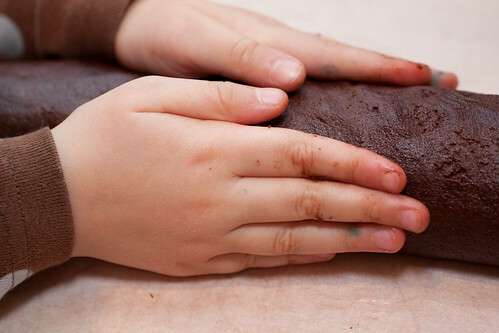 Form the dough into a log about 14 inches long and 1¾ inches in diameter. 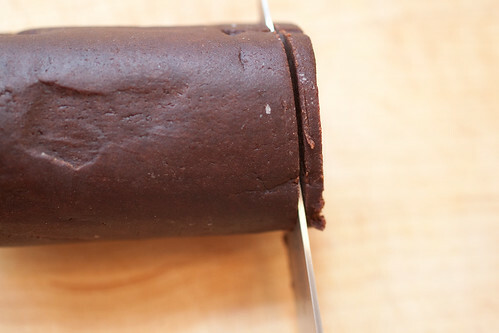 Wrap the log in wax paper and refrigerate until firm, at least one hour, or until needed. Or if you’re in a hurry, pop it into the freezer for about 20 minutes instead. Preheat the oven to 350°F. Line the baking sheets with parchment paper on Silpats. Using a very sharp knife (I use a paring knife), slice the dough as thinly as possible. Place them 1 inch apart on the lined sheets because the cookies will spread. 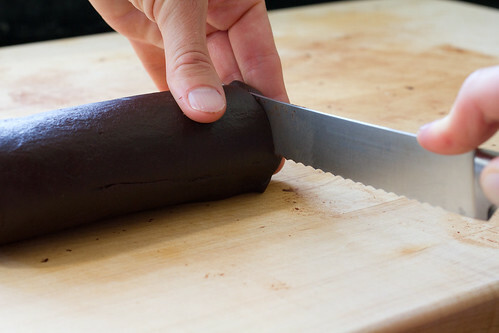 (A tip to avoid crumbling mess: As you’re slicing the log, put your fingers on the slice to catch it so that it doesn’t break.) Bake, rotating the baking sheet from top to bottom and back to front about halfway through baking, for a total of 8 minutes. Of course, if your cookies are thicker, they will take longer to bake. 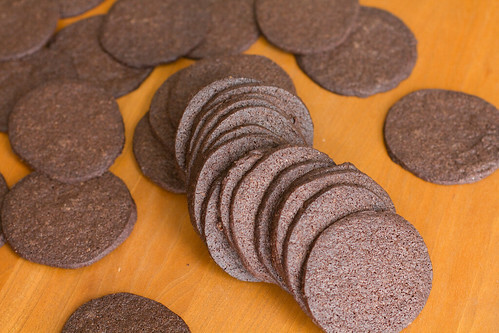 (Medrich cuts hers a scant ¼-inch thick – resulting in 50 to 60 total wafers – and bakes them 12 to 15 minutes.) As a guide to baking time, the cookies will puff up and deflate; they are done about 1½ minutes after they deflate. Cool the cookies on the baking sheets on racks, or slide the parchment onto racks to cool completely. The cookies may be stored in an airtight container for up to two weeks or be frozen for up to two months. Note: These cookies should crisp as they cool. If they don’t, you’re not baking them long enough, says Medrich — in which case, return them to the oven to reheat and bake a little longer, then cool again. 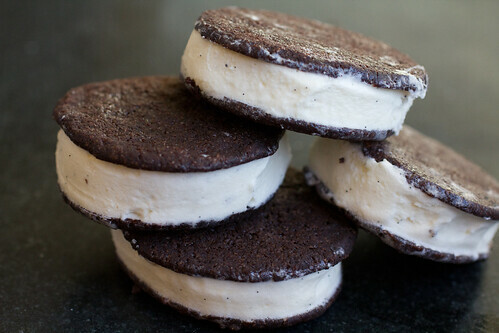 To complete the ice cream sandwiches, flash freeze the cooled cookies in a single layer on a baking sheet for about 20 minutes. 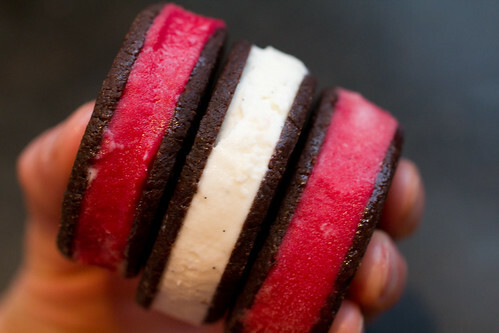 Then fill with ice cream by taking out a few cookies at a time and working quickly. I find it’s easiest to use a small ice cream scoop to portion the ice cream onto a bottom cookie, face side down, and then gently smoosh the ice cream down before adding the top cookie, face side up. Eat immediately or store in the freezer. Since this makes so many, I usually fill a few at a time (to pace our eating!) and simply freeze the remaining cookies until a craving for ice cream sandwiches hits again. 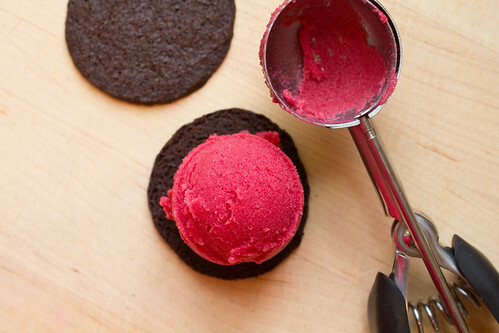 As far as ice cream flavors, we’re partial to this vanilla ice cream and raspberry sorbet from The Perfect Scoop. 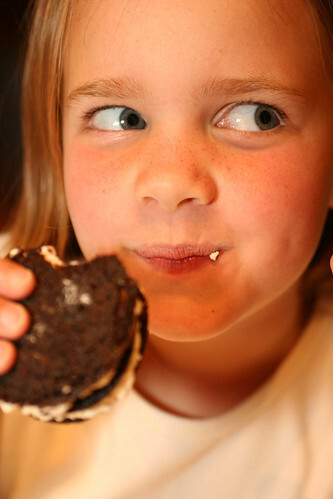 3 Responses to "Chocolate Wafers (Ice Cream Sandwich Cookies)"
These are great!! Don’t get hard when frozen. These are fantastic. I really like that they come out crispy and stay that way. I can’t figure out how they can be crispy and yet not break when pushing into the ice cream. Thanks very much. 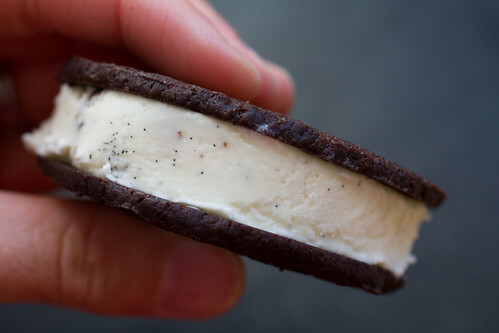 Thanks for sharing as I needed to know how to make the cookie wafers for ice cream sandwiches; I make my own vanilla by cranking the old fashioned way and the neighbors love it; but I wanted to get into ice cream sandwiches that I can modify because I can’t take cane sugar so i opt for xylitol; Cheers!